The Community Development Foundation (CDF) has published the first overall, national picture of the value community groups create. 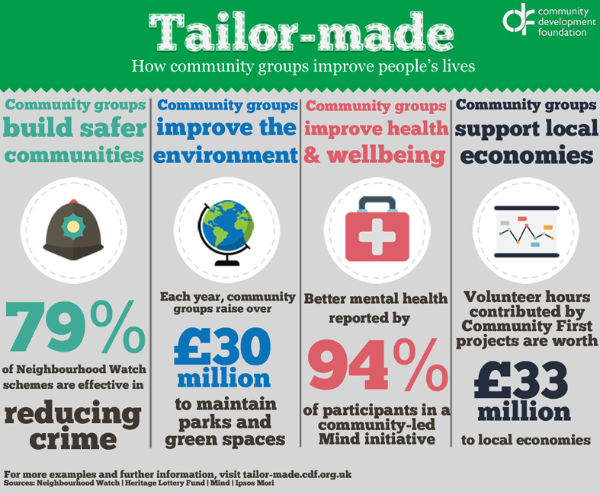 The research found that community groups are able to develop ‘tailor-made‘ support for people in their communities, complementing statutory services because they have the flexibility to meet specific needs. 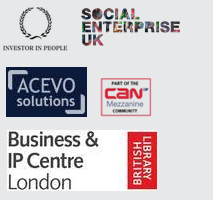 supporting local economies: They provide training and support to help people into work. They also contribute to economic growth by supporting people to start small businesses and helping people to manage their money better so there is more to spend locally. Published: October 29, 2014. Categories: News, Robert's Blog and Social Impact.